Tested: Shaved Face TaylorMade JetSpeed vs. Off the Rack. How much distance can you gain? Have you ever heard of anyone shaving the face of their driver? As unusual as it sounds, there’s a chance that someone in your weekend foursome may have already done it. Trust me, the company World’s Hottest Drivers wouldn’t be in business if nobody was shaving faces; and I don’t mean with Barbasol. WHAT DOES A SHAVED FACE DO? When was the last time you read or watched an advertisement that promised that a product could increase your distance off the tee by 10, 20, even 30 yards? I already know the answer, and it’s every day. 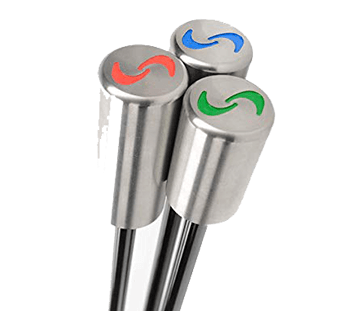 Every equipment manufacturer is going to tell you their product will let you hit the ball higher, farther and straighter than you ever have. I mean, is the GX-7 X-Metal not the BEST driver (or whatever it actually is) you’ve ever hit? To really gain meaningful distance off the tee, sometimes it takes a little something extra. And by extra, I mean something completely outside the USGA’s rules and regulations. World’s Hottest Drivers has developed a process to CNC-mill (or shave) the face of a driver, increasing the Coefficient of Restitution (COR), or “spring-like” effect of the face. The result is increased ball speed, decreased spin and of course, longer drives. Your driver is now non-conforming, but you’ll yack dingers all day long and impress your buddies. The guys over at WHD have this thing down to a science. They shave the face based on your swing speed, giving you max distance while minimizing the risk of a cracked face. Therefore, the slower you swing, the thinner you can go. At the Risk of Stating the Obvious: MyGolfSpy does not condone the use of non-conforming equipment for handicapping purposes and USGA tournament play, however; golf is a game, and if you just want to have a little fun on a Saturday afternoon, go for it. Two TaylorMade Jetspeed drivers were tested (one with a shaved face/the other stock). Both were tested at 9.5°. The same shaft was used for both heads, swapping the heads out every three shots. 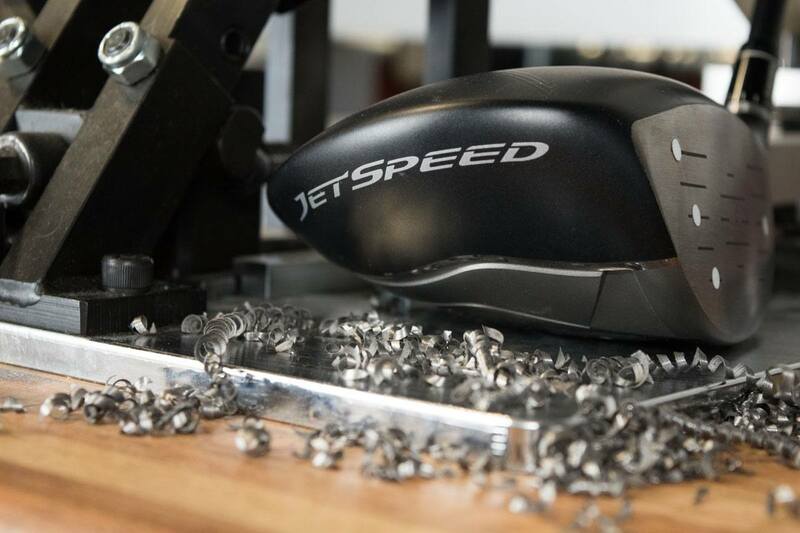 The shaved Jetspeed was milled to COR of .880, WHD’s recommendation for swing speeds between 100-110 mph. Six golfers with handicaps ranging from 0-15 and driver swing speeds between 75 and 125 mph participated in this test. (2 slow, 2 medium, 2 fast). Each tester hit 12-14 shots with each club (frequently rotating between clubs). Ball Data was recorded using a Foresight GC2 Launch Monitor. Shaving the face of a driver produces ball speeds on average of 4 mph faster than a stock head. Higher ball speeds equal longer distances; the shaved Jetspeed traveled a full 10 yards farther than its USGA-conforming counterpart. In addition to added ball speed and distance, the shaved face driver produced shots with lower launch and less spin, while maintaining similar accuracy to the conforming version. While not readily apparent in the data, we found club head speed increased with the shaved face. This may be attributable to a weight difference of nearly 20-grams. While we do not, under any circumstances, condone using non-conforming gear for handicapping purposes or in competition, the results are nevertheless impressive, and provide a window into what might be possible if manufacturers ever decided to circumvent the USGA’s regulations. The shaved face driver produced higher ball speeds, lower spin, and appreciable longer drives than the conforming version. If you’re looking to impress your friends, or just gain a bit of extra distance that you might have lost over time, a shaved face driver could be for you. 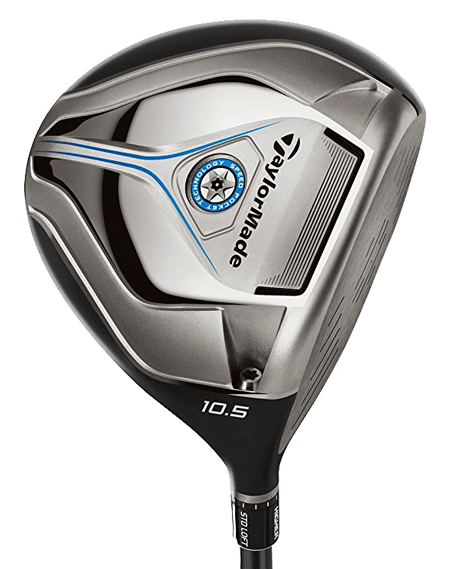 im currently playing taylor made, do you prefer the shaft on to do the milling or just send the head? approx turn around time? also at a swing speed of approx 90 and being 70, what will my expectations be after milling? do you prefer the shaft on the club or just head ? will the club be weaker with the groves on the head after there shaved? How about how to spot one in play? Can you see the milling marks? Just wondering what effect shaving the face has on the bulge and roll ? Seems like in this test the accuracy didn’t suffer much. I think people are missing the point. Golf is supposed to be fun. Who gives a crap if someone plays with it. Does it make em hit it straighter? Highly unlikely. If your playing for money or going by the ‘rules’ then of course keep it legit. Would have been better if you broke down the results according to swing speed groupings. The relationship between COR and Swing Speed is not linear I have gathered. I thought about doing this to one of my drivers. I discussed it with my playing partners during a round of golf. By the end of the round it was decided that instead of spending the money to shave the face of my driver I could just pick up my ball after a tee shot and move it 10 yards further up the fairway (or rough, or trees, or lake, or wherever it ended up). Both are illegal (per the RoG) and unethical, one is just way cheaper. Next round we are going to discuss foot wedges, and if we have time, betting during a round (I hear that’s a lot of fun!). And for those of you espousing moving up to the front tees for more distance, why stop there? Why not just drive your cart out to where your ideal tee shot would land, drop a ball and hit your approach shot from there? Even better, why not just drop a ball on the green and putt for birdie, so you can three putt your way to a bogie round? Never mind, I think they already have a whole special course for that, with go-karts and batting cages for when you get done. Exactly DB, good comments. People try to justify breaking the rules because “others do it so it’s ok that I do too” and that’s just wrong. Stand up for doing the right thing even if it means you come in second, or third or dead last. I can tell you this, every person in our club knows who the cheaters are, whether it’s noodling their ball when playing a match or marking the ball on the green a couple inches closer – and there is no respect for those individuals. Shaving clubs fall into that exact category. Oh, by the way DB, you missed greasing your clubface to lessen sidespin – can’t forget that little jewel. This is the most ridiculous thing I’ve ever heard. Not everyone who plays golf is interested in competing at a high level, or conforming to the world’s most confusing rulebook, or suffering away for 6 hours from 7,000 yards to play a game they love. I love the game of golf, it’s the best game there is, and because of that love, I selfishly want as many people playing the game as possible so that it remains possible for me to play myself. The more people you usher away from the game, the more the opportunities to play golf will be reduced. Play by whatever rules you want to in your foursome and leave everyone else alone. Why does it matter to you if the next group over has players with shaved faces on their drivers? It doesn’t affect your game in the slightest. One day you’re going to be nostalgic for the good ol’ days when you could push out there to a reasonable distance away from the tee and want something to help your game and to help you enjoy it more. Most golfers are in that group and if this helps them enjoy it and increase participation then I’m in! I find it really hard to believe that you and your group follow the rules of golf to the letter in your weekend four balls. You’re going back to the tee to hit a tee shot that lands out of bounds? You’re discussing precisely where a ball crossed the margins of a hazard and taking appropriately located drops? You putt out everything? You play everything down? Come on. Do your thing and let others do theirs. At age 69 I hit the ball 319to 327 on average and my playing partners 220-240 and they still score lurker than i do… what’s wrong with having fun…who cares…the game of snobs is chastising people to the point of turning them off the game which hurts everyone. besides i see fat too many mulligans and gimmies every time i play…. nobody plays to the exact rules each and every time they play… lighten up boys or we will have condos instead of greens…. Interesting article. I just have to laugh at all of the holy rollers and all I can say is, thank you for your integrity. Now would I invest in a shaved face driver for my league and casual play? No, because I like to at least attempt to abide by the “rules” of golf. Would contemplate employing one for the next company scramble where the winning score is usually 54 or 55 by guys bagging 22 clubs? Hell yes! If you can’t beat ’em, join ’em! 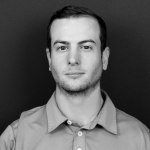 I really like the majority of the published work from MyGolfSpy and I am a contributor, however I do not like this article nor your support of shaving clubs. Golf to me has always been a sport where all levels of players play the game with honesty and integrity, this article promotes neither. If you use a shaved club when playing with friends you are cheating them, if you only use it when you are playing by yourself, then you are cheating you. I’m tired of cheaters and I hope that the majority of golfers feel the same. You can tongue in cheek this article all you want, it’s still wrong. I challenge every person who uses a shaved club to formally announce it to your friends before teeing off, see how that goes over. C’mon MyGolfSpy – you are better than this. The two with the comments talking about its not fair to play the ladies tees. I call BS on that Jack Nickolas said you should play the forward tees according to your distant, If you have a guy that can’t hit his driver but 150 yards then the average hole of a par 4 is going to be 3 shots to reach the green. You shouldn’t have to be using a 3 wood to try and reach a green your second shot. Play the T-box that you can play at least a mid iron to the green for your next shot on a par 4. This game is hard enough for many who play. Make it more fun by using the forward tee’s. Well not for me. I feel proud when I hit a great drive because I worked hard at it. Hitting a great drive with a shaved face driver would not feel the same no matter how far it went. I would just feel like a cheater mostly because I’m cheating myself. Isn’t golf about playing by the rules even when your by yourself. I’m 62 I don’t try to play from the back tees. If you don’t hit it as far as you once did put your pride aside and move up. That cost nothing. If you are younger and not hitting it like you want put that money into lessons. How can something be fun if you are cheating how could you be proud of your score if you cheated. If this process is going so well why aren’t any of the cnc milling machines running? Because he is standing in front of a green screen, not in a real machine shop. See the fur on his arms is green? I read the article and appreciate it for what it is. an article about golf eq. I love the idea of a shaved face, not gonna do it but like it. But it seems the morality police need to comment on it. If you don’t like it say so but don’t shoot the messenger or the message. It would be interesting to see the clubhead speed as a reference when you publish ball speeds to see if the distance added can be attributed to clubhead speed and not just shaving the face down. It would also allow for Smash Factor to see how solidness of contact would be assuming they are all relatively similar. Seeing the correlation between clubhead speed and less weight (20g) may give more perspective. I wonder what Walter Sobchak would think of this…..
…his buddies didn’t die face down in the muck so some little strumpet could- oh nevermind. We started playing from different tees on longer par 4’s. This makes the game fun. None of us kill the ball off the tee. So just adjust your game. The PGA police won’t put ya in jail if you play from a red tee every once and a while. Geez have fun and stop spending money on gimmicks. Maybe instead of shaving the driver face, they should just move up a tee box. There’s your 10 yards off the tee. I mean, you’re not playing with this illegal club in a handicapped round or club event are you? *wink wink* So the tee boxes you play from shouldn’t matter. I guess I talk from a different perspective though. I dent and crack the faces of “conforming” drivers multiple times a year, due to a high swing speed. It’s actually annoying. I can’t afford to have a row of gamer drivers ready to go. So I wait the 4+ weeks for my driver to be replaced. I started using a Krank long drive head with a cut down shaft as it doesn’t break. Even after a few hundred long drive hits. It’s not as long, and certainly not as forgiving, as the M1 or Epic, which I also have put in play. But I’ve went through 3 M1’s in the last year. The Epic I am trying solely to see if the “jailbreak” bars will hold the crown in place. How did your rant against shaved drivers and the “sad” world we live in morph into you talking about how awesomely fast you swing your driver and how you can’t stop cracking faces? Fair enough. I was trying to imply a different perspective, that the faces seem to already be too thin. But re-reading my original comment does appear to be boastful. That was not the intent. I wish I could s my own d like that but it’s just so long and huge that I can’t reach it. The fall of society is signaled by the practice of illegal drivers. Personally I’ve had the same problem of breaking drivers. To slow my swing speed down to mortal levels, I’ve been forging solid granite driver heads in my personal underground dungeon. Still, I get sound complaints from other golfers as my ball as it accelerates past the sound barrier. NASA has a live map of the balls that I’ve launched into orbit. Without a doubt the greatest comment ever publish on this site, Benny. Swing slower. You would probably gain some accuracy also. Can you update this with information about club speed and smash factor? The article states that you saw increases in clubhead speed. So how much of the extra 4mph ball speed is directly attributed to increased club speed from a lighter club? Company I worked for was trying it in the 90’s. Years ago when softball bats started showing up in composite materials we started shaving them (from the inside) and it DEFINITELY made them hotter. An average hitter could hit bombs with a shaved composite bat. However, the life of the bat was decreased by at least half if not more. A driver would be a completely different animal in that it changes the swing weight, weight distribution, etc and should make them harder to hit straight. Just leave your driver alone and hit it in the fairway. That 10 yard increase becomes a huge loss when the ball starts bending. I played in that era as well. Shaved and rolled bats were becoming more frequent. And while I don’t agree with non conforming golf clubs, at least they aren’t a danger to people. Those bats were. Balls were coming off the bat hotter and faster than normal, and players were getting hurt. I had my Srixon 565 done. I have not seen the 10 yard results. I did notice it’s harder to control now. My Epic seems to be longer and more accurate. I wanted to try it and I’m glad I did but, I would not send a driver back to them. You can also see wavy lines at the top of your driver where the crown meets the face. My playing partner noticed something had been done immediately. I wasn’t impressed! I have pictures of their work to show if your interested? I wouldn’t be promoting them just yet. I feel like I ruined a great driver actually. I recently sent my Taylormade driver to W.H.D. I LOST 10 YARDS. I have ambivalent feelings, on one hand I ‘m unhappy about losing the use of one of my favorite drivers, on the other I wish W.H.D. well, capitalism is great , and I am always happy to see a success story. I’m not sure how they can guarantee gaining 10 yards. I went back to my Bombtech 2. Why did the USGA choose a max COR of .83? Is there anything special about that number? What are the chances of them raising the limit? How big of a change would it make to CG and ball flight if the 20 grams shaved from the face were positioned elsewhere in the club? I have seen this service done on Ebay a few years ago.. It isn’t a cheap process …….but?? The only concern I would have is how durable will your driver head be afterwards?? Not that I have miss hits etc.. Also my swing speed is around 90 to 93 —— will this really give me better results..? Just 10 yards gained is not worth it IMO. Although I like the idea. Yes, I could spend $130 CDN to shave my driver face for the sake of 10 yards, OR I could go online, spend HALF that much, and find a shaft pull of a Fujikura Speeder 565 Evo. Currently retailing new for $390, I will swap it in to replace an old Grafalloy Launch Apex shaft, and likely pick up 20 yards, maybe more? Very interesting video. So there’s no more risk of the face cracking at .900 than .830 for the average (90 to 100 mph) swing speeds? A brilliant plan to keep old guys on the golf course longer. Couple this with non-conforming golf balls (MG Senior) and I could be playing well into my 80’s. I always said I’d probably quit the game when I couldn’t hit a drive 200 yards anymore. May be from the E9 face technology. I have only use high COR drivers and have a couple of shaved drivers. They definitely give you the extra ten yards, but other high COR drivers are as good. I’m currently using a Japanese Orlimar high COR driver that goes as far as my shaved face driver and I also have Roketto that is manufactured at .880 that is adjustable and a bomber. I honestly don’t know why most amateurs don’t use high COR drivers, especially as we age, they help regain much of the lost distance and are a ball to hit. Because they are non-conforming. That’s a pretty good reason not to use them – if you are playing in a club event or other tournament that uses the rules of golf or maintaining a USGA handicap you can’t use them – as the author mentioned several times in his article. If you only play for fun or the guys that you play with don’t care then by all means knock yourself out. Many of us want to compete within the rules now and again and so this is not for us. How does it change the appearance of the face? The lines that are on the face when you buy the driver are removed in the milling process. But, they’ll paint them back on for you at an additional charge. I asked them the same question a couple years ago. I sent my Callaway XR driver to this company a 2 years ago. When I received it back and went to play the first time, I was approximately 15 yards longer. The only problem I had with the driver was I noticed a wrinkling effect toward the toe. At first I thought the face was going to cave in. I have seen no further problems and still am hitting my drives longer. I am 74 years old and play to a 13 handicap.